After Ko Shin Moon, The Dwarfs Of East Agouza, and Praed, Akuphone continues its sonic exploration of freaky electronic music with Tamayuge. A blend of experimental music, creepiness, melancholia, and kitschy tones, this surprising collaboration releases its first album, Baba Yaga. At the head of the group are Maya Kuroki and Tamara Filyavich, a Japanese and a Ukrainian now based in Montreal. Kuroki's phantasmagoric vocals and dreamy guitar added to Filyavich's team of electronic ghosts fresh out of her nightmares is an invitation to a strange ritual, between tormented performance and feminist ceremony. Like Baba Yaga, an ambivalent character of Slavic mythology, this music is both part of Japanese and Ukrainian cultures, bringing scary and exciting shivers to an enigmatic imagination. The mysterious and unsettling Tamayuge's universe is somewhere between Phew, Laurie Anderson, and The Residents. Akuphone presents a collection of recordings of various musical practices from the Laotian provinces of Champasak, Attapeu, Sekong, Saravan, Luang Namtha and Phongsaly. These documents are a perfect introduction to the traditional music of South Laos minority groups. Popular modern music is widely spread but visitors are barely ever exposed to ancient acoustic practices from villages. As a matter of fact, mouth organs of various sizes exist among the Hmong and Bit as well as amazing vocal techniques among the Lantene, Ahka, or Khmu who combine simultaneous singing and flute notes. This collection also compels one to discover the Brao gongs, the Triang bamboo flutes, the Lao, Ta Oy, Alak, OI, Pacoh, or Nyaheun mouth organs as well as the powerful singing accompanying these instruments. Caught on the spot, these outstanding testimonies were collected between 2006 and 2013 by Laurent Jeanneau, aka Kink Gong. Through his researches, this self-taught ethnologist has gradually become one of the specialists of the field, building up a collection of complete and fascinating sound archives which contribute documenting parts of this immaterial heritage. Music of Southern and Northern Laos brings some light on a region of South East Asia still largely unknown from the general audience as well as the recently reborn ethnographic musical industry. This compilation will delight both molam/khene lovers and beginners unused to South East Asian sounds. The CD version gathers both Music of Southern Laos and Music of Northern Laos over a single disc. Includes liner notes in English, French, and Japanese and a download code. Music of Northern Laos, subtitled Provinces of Luang Namtha et Phongsaly. One part of Akuphone's collection of Laotian music. Includes liner notes in English, French, and Japanese and a download code. Akuphone presents a collection of recordings of various musical practices from the Laotian provinces of Champasak, Attapeu, Sekong, Saravan, Luang Namtha and Phongsaly. These documents are a perfect introduction to the traditional music of South Laos minority groups. Popular modern music is widely spread but visitors are barely ever exposed to ancient acoustic practices from villages. As a matter of fact, mouth organs of various sizes exist among the Hmong and Bit as well as amazing vocal techniques among the Lantene, Ahka, or Khmu who combine simultaneous singing and flute notes. This collection also compels one to discover the Brao gongs, the Triang bamboo flutes, the Lao, Ta Oy, Alak, OI, Pacoh, or Nyaheun mouth organs as well as the powerful singing accompanying these instruments. Caught on the spot, these outstanding testimonies were collected between 2006 and 2013 by Laurent Jeanneau, aka Kink Gong. Through his researches, this self-taught ethnologist has gradually become one of the specialists of the field, building up a collection of complete and fascinating sound archives which contribute documenting parts of this immaterial heritage. Music of Southern and Northern Laos brings some light on a region of South East Asia still largely unknown from the general audience as well as the recently reborn ethnographic musical industry. This compilation will delight both molam/khene lovers and beginners unused to South East Asian sounds. Music of Southern Laos, subtitled Provinces of Champasak, Attapeu, Sekong and Saravan. One part of Akuphone's collection of Laotian music. Includes liner notes in English, French, and Japanese and a download code. 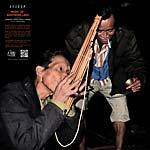 Akuphone presents a collection of recordings of various musical practices from the Laotian provinces of Champasak, Attapeu, Sekong, Saravan, Luang Namtha and Phongsaly. These documents are a perfect introduction to the traditional music of South Laos minority groups. Popular modern music is widely spread but visitors are barely ever exposed to ancient acoustic practices from villages. As a matter of fact, mouth organs of various sizes exist among the Hmong and Bit as well as amazing vocal techniques among the Lantene, Ahka, or Khmu who combine simultaneous singing and flute notes. This collection also compels one to discover the Brao gongs, the Triang bamboo flutes, the Lao, Ta Oy, Alak, OI, Pacoh, or Nyaheun mouth organs as well as the powerful singing accompanying these instruments. Caught on the spot, these outstanding testimonies were collected between 2006 and 2013 by Laurent Jeanneau, aka Kink Gong. Through his researches, this self-taught ethnologist has gradually become one of the specialists of the field, building up a collection of complete and fascinating sound archives which contribute documenting parts of this immaterial heritage. Music of Southern and Northern Laos brings some light on a region of South East Asia still largely unknown from the general audience as well as the recently reborn ethnographic musical industry. This compilation will delight both molam/khene lovers and beginners unused to South East Asian sounds. A fantastic mixture of brakka, reggae, and Afrobeat. 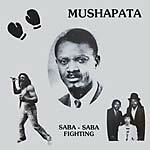 Mushapata, a boxing champion, stepped out of the ring but kept fighting with music, lyrics, and his band, Saba-Saba Fighting. His first self-produced recordings reveal a rough mix of lo-fi reggae, Afrobeat rhythms accompanied by a brass section close to free jazz. The nonchalant sounding voices of Mushapata and Tshayi complete this explosive cocktail and carry in Swahili language. the pan-African ideas of Lumumba, and other great figures of African-American struggles. Recorded between 1980 and 1984. Includes liner notes in English, French, and Japanese. LP version. Includes printed inner sleeve; Includes download card with complete ceremony, extra photographs, and liner note translations (French, Italian, Japanese). A fascinating immersion in the heart of a funeral ceremony live recorded in Bali, where gongs, cymbals, and drums give rhythm to the bewitching atmosphere of this mortuary procession. The international audience's interest into Balinese music and its gamelan orchestras dates back to the edition of large ethnographic series in the 1950s, '60s, and '70s which largely encouraged the discovery of this music beyond Indonesia's borders. Taking advantage of a more advanced technology, compared to the vinyl golden era, the present field recordings produced in 2011 render, at the closest, the power of gamelans. Gamelan is presented here in two forms. The first one (tracks 1 to 4) offers a display of Beleganjur music out of the ritual context, which can be differentiated by a more melodic form and a more dramatic and hypnotic aspect in the compositions. 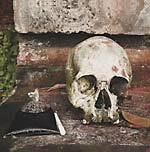 The second one (tracks 5 to 9) presents the Beleganjur style in the ceremonial context of the Ngaben funerary rite in the village of Peliatan. The utmost vitality of these orchestras springs out throughout the different stages of these funerals, and the sound environment surrounding the musicians immerse the listener in the very heart of the procession following the corpse. With The Gamelan Of The Walking Warriors, Akuphone carries on its exploration of ritual and ceremonial music with those materials of rare intensity. These recordings were collected by Vincenzo Della Ratta, PhD in Ethnomusicology from the Sapienza University (Rome). As a specialist of the gongs music from the Austronesian cultures of Southeast Asia, Della Ratta is the author of numerous articles on the subject. His field researches have already been edited as a vinyl entitled Kwangkay: Funerary Music Of The Dayak Benuaq Of Borneo (SF 106LP, 2016). Tracks 1 to 4 were recorded in the village of Wanagiri, in the district ("kecamatan") of Sukasada, of the regency of Buleleng. Tracks 5 to 9 were recorded in the village of Peliang, in the district of Ubud, of the regency of Gianyar. LP version. Psalmody, small bells, big cymbals, gongs and drums -- this puzzling collage of Tibetan Buddhist rites recordings is hypnotizing. It opens the way to the state of trance. The slight electronic arrangement reminds the listener that reality is not so far. The two twenty-minute tracks instantly convey an unknown and fascinating universe. Mantra chanting accelerates, horns become more insistent and a mystical atmosphere arises. With Tibetan Buddhism Trip, Akuphone starts to explore ritual and ceremonial music, here with a subtle mix of field recordings and electronic handlings. Over the years King Gong, aka Laurent Jeanneau, has specialized in the recording of ethnic minorities, particularly from South East Asia. He has recorded over 160 albums and his work is now largely well-known around the globe. An impressive collection allows him to manipulate, assemble, and reconstruct his field recordings in order to create new sound landscapes. Recorded in Tibet and Yunnan (China) between 2006 and 2013. Recomposed in Berlin in 2016. Includes insert with unseen pictures and download card including a live performance in Bristol. Analog synthesizers, drum machines and oriental lutes. Ko Shin Moon is the first contemporary artist signed and produced by Akuphone. It reflects perfectly the new cosmopolitan sound that the label wanted to highlight. Blurring the lines between time and space, Ko Shin Moon mixes acoustic instruments from various regions of the world, analog devices, traditional music, electronic arrangements, sampling, and field recordings. As the soundtrack of a patchwork journey, the band's first LP conveys one along a succession of hybrid territories, imaginary sound landscapes, multi-colored collages: acid dabke, Turkish-Greek disco, cosmic raï, new beat molam, Tibetan ambient, synth wave Hindi filmi, rickshaw dance music -- future sound has no borders. LP version. Cambodian Liberation Songs is a painful call from forgotten resistance fighters. It is a captivating and moving record, a touching testimony of Cambodian history, that brings to the world the breathless voice of the resistance members of the resistance from the Banteay Ampil Band. Released in 1983, Cambodian Liberation Songs is a mysterious and overwhelming record. As a genuine piece of history, this "eloquent sadness and fierce passion" runs the gamut of Cambodian music, from folk to rock, expressing their suffering and pain. On April 17, 1975, the Cambodian people, already crushed under national and international conflicts, were commanded by force to forget their own past; It was "Year 0" of the Khmer Rouge calendar. Almost four years of genocide would follow before the start of a war between the Vietnamese army and the Khmers Rouge. Resistance units engaged in the conflict against what they considered as a Vietnamese invasion. 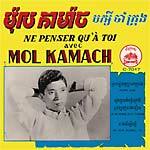 This record, produced by a resistance group, was given the reference number KHMER 001. 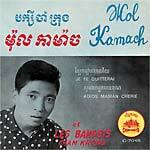 It was undoubtedly the first record composed and performed by non-Khmer Cambodians after the tragic events of 1975-79. The refugee camp of Ampil, near the Thai border, witnessed the creation of the Banteay Ampil Band. Musicians and female singers, who had hidden their talents during the genocide, gathered around the composer and violinist Oum Dara to engage in a new struggle: the resistance. Oum Dara, who had been a composer for Sin Sisamouth and Ros Srey Sothea, among others, adapted several of his creations. It is therefore, with a poignant charm, that the Banteay Ampil Band binds together the golden age of Khmer music from the 1960s with the traditional repertoire and the context of their daily struggles. Violin, guitar and voices work together to produce melancholic and intense songs - the stirring tone of grief expressed by these resistant fighters. The band went to Singapore to record Cambodian Liberation Songs, the only record of the "Khmer People's National Liberation Front". Rare cosmic Lao synth pop recorded in Paris 1980. Slow-paced drums with off beats softly phased with guitar and misty synthesizers. 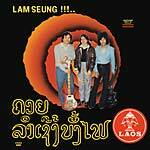 The lam soeng was one of the most renowned stylistic variations of a popular Lao musical genre. Sothy creates an unusual arrangement with the instrumental introduction separate from the canon, the synthetic mix is stripped down of the traditional organology. "Tawai" (offering) is just as enigmatic: a beat box, a lightly reverberated voice as well as a guitar solo and a small synthesizer break. Parisian producer Shelter, aka Alan Briand, provides mixes for both songs. Sri Lanka still remained one of the rare South Asian countries whose folk-pop music from the 1960-70s had not yet been compiled abroad. This gap is now to be filled with Sri Lanka: The Golden Era Of Sinhalese And Tamil Folk-Pop Music. This compilation presents the diversity of Sri Lankan musical styles between 1967 and 1979 through 30 titles. It comes along with a booklet depicting the country's historical, cultural and musical context. Sri Lanka possesses a great variety of musical traditions and influences which have been shaped by centuries of regional and international exchanges. If Sri Lankan music is undeniably part of South Asian musical culture, its heritage is also a product of almost five centuries of European imperialism. Coming from an original form of creolization, as defined by Edouard Glissant, the baila bears the trace of both the African diaspora and the Iberian influences on the country. The Kaffirs - African slaves deported by the Portuguese - introduced African sounds, while the Portuguese brought their musical traditions and instruments (cavaquinho, mandolin, violin, tambourines). The baila, reminiscent of Caribbean calypso, became the ultimate popular music and dance. The sarala gee (also called light classical music) is a combination of Indian inspired music, either classical or close to Bollywood productions, with Sinhalese lyrics and a slight pop accent. In the early 1960s, the music label Sooriya Records, with founder Gerald Wickremesooriya, were determined to put into light proper Sri Lankan music. Wickremesooriya invented the "new sound of Ceylonese pop" and quickly, the label's hits were broadcasted on Radio Ceylon, the number one radio for a long time. Sooriya Records's catalog reflected the diversity of Sri Lankan musical styles of the times: Anglo-Saxon influenced Sinhalese pop stood next to the baila or the sarala gee. Traditional instrumental music, were also edited by the label. This selection, mainly constituted of titles from Sooriya Records's catalog, presents the most popular artists of the times. Features: Pau Fernando, W.D. Amaradeva, Clarence Wijewardena, Paramesh, The Fortunes, Sanath & Malkanthi Nandasiri, A.E. Manoharan, Pani Bharatha & Party, Mignonne & The Jetliners, Shan, Amitha Dalugama, Maxwell Mendis, Police Reserve Hewisi Band, Shiromi Fernando, Wimala Amaradeva, Indrani Perera, Winslow Six, The Moonstones & Indrani Perera, Sidasi Turya Vadayako, Nalino Nel, Los Flamincos, Lilanthi Karunanayake, Claude & The Sensations With Noeline Mendis, H.R. Jothipala, The Golden Chimes and Victor Ratnayaka. Double LP version. Sri Lanka still remained one of the rare South Asian countries whose folk-pop music from the 1960-70s had not yet been compiled abroad. This gap is now to be filled with Sri Lanka: The Golden Era Of Sinhalese And Tamil Folk-Pop Music. This compilation presents the diversity of Sri Lankan musical styles between 1967 and 1979 through 30 titles. It comes along with a booklet depicting the country's historical, cultural and musical context. Sri Lanka possesses a great variety of musical traditions and influences which have been shaped by centuries of regional and international exchanges. If Sri Lankan music is undeniably part of South Asian musical culture, its heritage is also a product of almost five centuries of European imperialism. Coming from an original form of creolization, as defined by Edouard Glissant, the baila bears the trace of both the African diaspora and the Iberian influences on the country. The Kaffirs - African slaves deported by the Portuguese - introduced African sounds, while the Portuguese brought their musical traditions and instruments (cavaquinho, mandolin, violin, tambourines). The baila, reminiscent of Caribbean calypso, became the ultimate popular music and dance. The sarala gee (also called light classical music) is a combination of Indian inspired music, either classical or close to Bollywood productions, with Sinhalese lyrics and a slight pop accent. In the early 1960s, the music label Sooriya Records, with founder Gerald Wickremesooriya, were determined to put into light proper Sri Lankan music. Wickremesooriya invented the "new sound of Ceylonese pop" and quickly, the label's hits were broadcasted on Radio Ceylon, the number one radio for a long time. Sooriya Records's catalog reflected the diversity of Sri Lankan musical styles of the times: Anglo-Saxon influenced Sinhalese pop stood next to the baila or the sarala gee. Traditional instrumental music, were also edited by the label. This selection, mainly constituted of titles from Sooriya Records's catalog, presents the most popular artists of the times. Features: Pau Fernando, W.D. Amaradeva, Clarence Wijewardena, Paramesh, The Fortunes, Sanath & Malkanthi Nandasiri, A.E. Manoharan, Pani Bharatha & Party, Mignonne & The Jetliners, Shan, Amitha Dalugama, Maxwell Mendis, Police Reserve Hewisi Band, Shiromi Fernando, Wimala Amaradeva, Indrani Perera, Winslow Six, The Moonstones & Indrani Perera, Sidasi Turya Vadayako, Nalino Nel, Los Flamincos, Lilanthi Karunanayake, Claude & The Sensations With Noeline Mendis, H.R. Jothipala, The Golden Chimes and Victor Ratnayaka.